Baidu.com, Inc. (ADR) (NASDAQ:BIDU) will have to try harder if it wants to win back its status as the dot-com darling of China. The leading Chinese search engine fell short in its latest quarter. Revenue soared 40% to $961 million, but analysts were hovering around the $969 million mark. Profitability inched 9% higher to $328.9 million — or $0.95 a share — but Wall Street was expecting a profit of $1.03 a share. One can argue that 40% revenue growth is great, and that Baidu’s final figure was smack-dab in the middle of its earlier guidance. Dividing $961 million in revenue by $328.9 million in earnings to arrive at net profit margins of 34.2% is a figure that would make most stateside Internet companies drool with envy. Unfortunately, it’s just not good enough. Baidu.com, Inc. (ADR) (NASDAQ:BIDU) has been so much better in the past, and this is the second quarter in a row that Baidu has disappointed on the bottom line. Is it a coincidence that Qihoo 360 Technology Co Ltd (NYSE:QIHU) rolled out a rival search engine last summer and that Baidu has come up short in each of its first two reporting periods where it had to compete with Qihoo 360 for the entirety of the quarter? The stock initially moved lower on the Thursday night report, and rightfully so. A miss is a miss. However, Baidu.com, Inc. (ADR) (NASDAQ:BIDU)’s guidance for the current quarter calls for a strong sequential bounce, with $1.187 billion to $1.216 billion in revenue. That finds analysts planted in the middle at $1.2 billion. The problem here is the mystery meat that Baidu’s profitability will be. The Chinese bellwether doesn’t provide bottom-line guidance, but the recent slide in margins is problematic. Bandwidth, content, and SG&A costs all grew a lot faster than revenue at Baidu. There’s little reason to expect that to change in the near term. Baidu is now trading at a trailing earnings multiple in the teens, and that’s true on a forward basis even as analysts tweak their full-year forecasts. Yes, Baidu.com, Inc. (ADR) (NASDAQ:BIDU) used to be better, but the stock has also never been this cheap. There’s plenty to prove at Baidu, but the future isn’t as bleak as the market’s reaction would seem to suggest. The article Baidu: Breaking Bad originally appeared on Fool.com and is written by Rick Munarriz. Longtime Fool contributor Rick Munarriz has no position in any stocks mentioned. 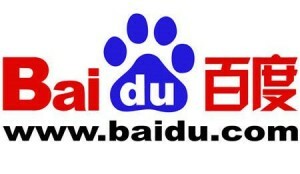 The Motley Fool recommends and owns shares of Baidu.com, Inc. (ADR) (NASDAQ:BIDU).